This coming fall Heinemann will be publishing my book on inquiry-based Choice Time for grades pre-k through grade 2. To my amazement, I’ve just recently finished the manuscript. Some days this past year the task of writing seemed like climbing a mountain! Wonderful photographs have been taken and photo release forms signed, and now we are at the point of thinking about a good title for the book. I recently reread my initial proposal letter and I thought it would be interesting to share it with you. I’ll illustrate my proposal letter with some of the marvelous photographs that Kristin Eno took at the Brooklyn New School. Elaine, Jeffrey and Matthew have turned our “pretend” center into a doctor’s office. The wooden play stove has now been covered with white paper to become an examining table. Placing her baby doll on the table, Elaine, dressed up in silver high-heels and my daughter’s outgrown fancy party dress, pretends to cry. “My baby is dead,” she sobs as Jeffrey, the “doctor”, dressed in an oversized white shirt with a stethoscope dangling from his neck, takes rapid notes on a pad. “Don’t worry. I’ll fix the baby.” Jeffrey, taking a needle from the play doctor’s kit, jabs the baby doll’s arm. “O.K. now the baby’s not dead anymore.” Elaine picks up her baby, hands over a wad of play money from the pocketbook draped over her shoulder, and happily teeters away, balancing herself on her high-heeled shoes. In the block center, Larry has enclosed Mario inside what looks like a house without doors. Each time Mario’s arm reaches out, a wooden block falls down and Larry quickly replaces it. Then he runs to the book corner, where we have a collection of stuffed animals, selects one, returns to the block building and passes a stuffed animal to Mario. I observe this happening for a few minutes. Each time Mario’s arm comes out, a block falls down and Larry replaces it and adds another animal to Mario’s growing collection. Curious about what this is all about, I walk over to the blocks and ask Larry about his building. “Mario is in jail, but don’t be worried. I bring him toys so he won’t be scared.” Although Larry’s father was in prison, this was something that he never spoke of with me, his classmates or with his mother at home. I noted that Larry, who often challenged his behavioral boundaries during the school day, must have been thinking about his father. Perhaps in his block play he was finding a safe outlet for expressing his fears and concerns. Our ABC center, stocked with magnetic letters, paper, pencils, pens, and a variety of ABC books, was very popular at the start of the school year but was beginning to lose its appeal. It hadn’t been a popular choice for the past two weeks. Rather than eliminate the center, I brought in some carbon paper and showed the children, at our morning meeting, how I could place it over one paper, put a second paper on top, and then write my name. I lifted up the bottom paper to show the children. It’s magic! The carbon paper was renamed “Magic Paper” by the excited children. The ABC center was rejuvenated and today it was filled with four joyfully writing and giggling children. If we think about the activities of these children during Choice Time, it brings up the question of how we define play in kindergarten, first and second grade classrooms. Does it look the same as the play that children engage in at home or on the playground? This is a point that often comes up when I speak with teachers, administrators and student teachers about Choice time. It’s an important and somewhat difficult question to answer. Children engaged in free play set their own rules. They might create or find props that enhance their role-playing such as a stick or branch that becomes a sword or a piece of fabric that is transformed into a queen’s robe. Free play can be highly social when children form their own groups. 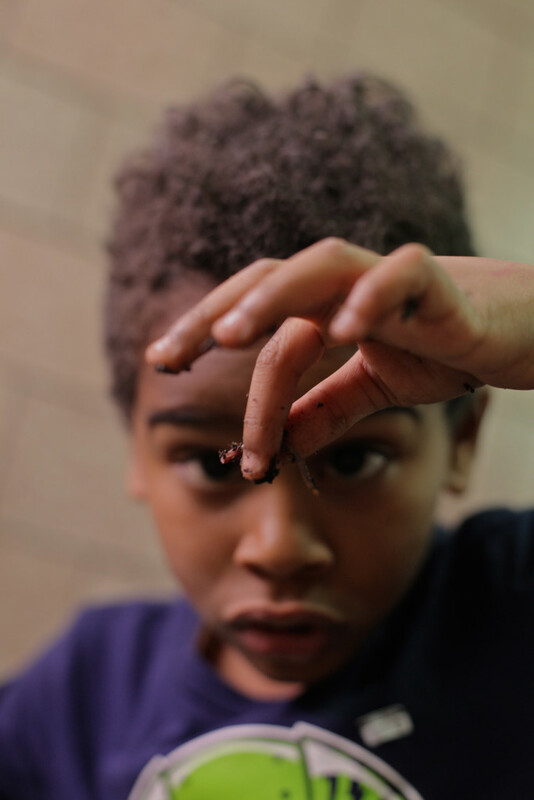 It can also be a solitary experience such as when a child finds an insect on the ground and commences to have an animated monologue directed towards the small ant. She can be totally oblivious to the activity around her while she is immersed in her private world. In both of these play possibilities it’s important to notice the absence of adult intervention or planning. It is all in the hands of the children. The challenge for classroom teachers is to plan an inquiry-based, explorative Choice Time, acknowledging important elements of free play but doing this within the expectation of high standards expected of the classroom experience. We want centers to be interesting and free enough for children to truly have the opportunity to make choices. Maria Montessori, the groundbreaking Italian educator, introduced the idea of a prepared environment. 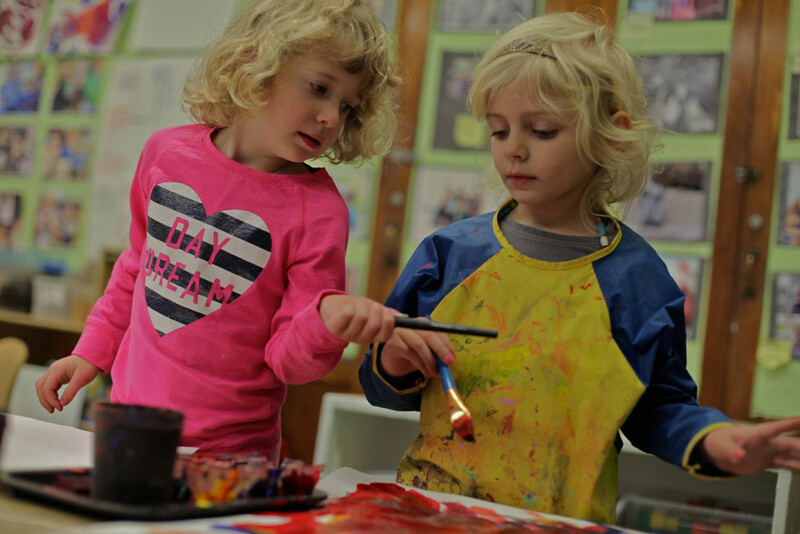 Two characteristics of the Montessori classrooms, based on her theory of education, are that the prepared environment should include beauty, order, simplicity, reality and accessibility and that children be given the freedom to become part of a social group. She also believed that children should be provided with specifically designed materials that help them to explore their world and enable them to develop essential cognitive skills. 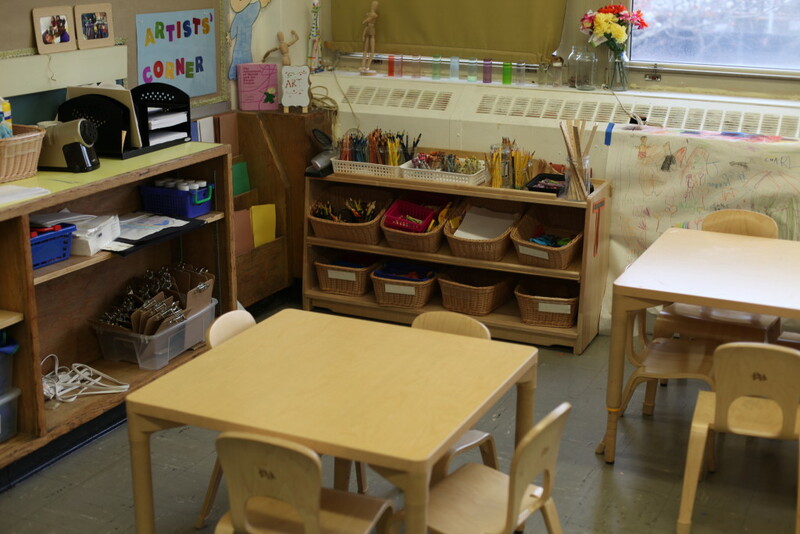 The teacher’s prepared environment is essentially what differentiates free play and Choice Time. 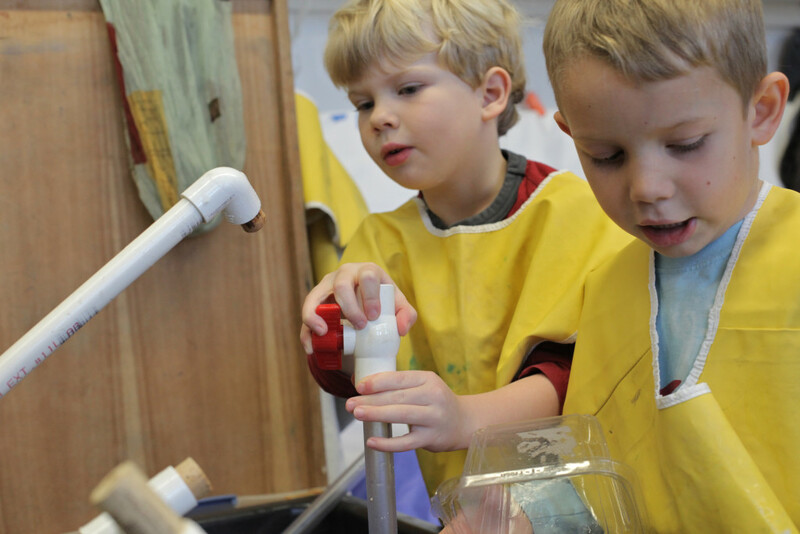 Children make decisions about how they will interact with materials and also socially interact with peers but it’s the materials the teacher provides within each centre that will provoke the children’s engagement. The way that children decide to use materials during Choice Time is not only creatively up to the students. Innovative explorations are encouraged and celebrated by the teacher. The centers described in this book implicitly address many of the Common Core Learning Standards while children have opportunities to incorporate their learning through play and exploration. 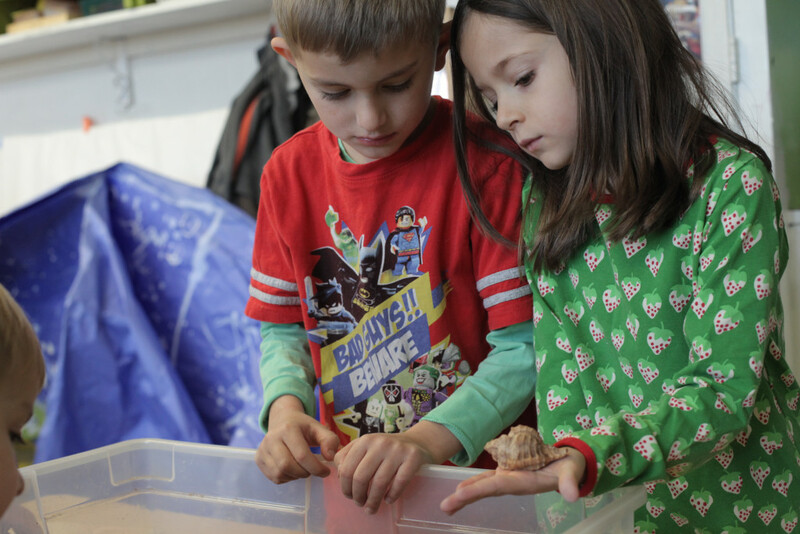 This vision of Choice Time and centers may be new for many readers so I will carefully describe, using classroom examples and photographs, how to develop an inquiry-based, playful Choice Time. In my own classroom I wanted children to know that in our room they could be artists, writers, designers, builders, scientists and mathematicians. In fact, all possibilities were open to them. One way that I shared the message with my students was by organizing the classroom to reflect these possibilities. In addition, the various centers were stocked with a wide variety of materials that were almost asking to be acted upon rather than imposing a limited possibility for activities. Therefore, the ABC center had blank alphabet grids, little stapled books ready to be written in, alphabet stamps and, as I previously shared, “magic” carbon paper. Notice that there were no alphabet kits or matching boards that might have limited their use to the rules of the game. When I reflect on my personal history as a teacher, I must admit that I tiptoed my way into Choice Time…It took me years to understand how children learn and to have the confidence that allowed me to create a classroom that reflected this understanding. Teachers who are new to the profession and also those who have years of experience are facing so many challenges. To address rigorous Common Core Learning Standards teachers are under pressure to revise their curriculum. The bar has been raised to a level that puts children as young as three and four years old on a trajectory that is supposed to move them towards becoming college and career ready. Administrators and teachers are being rated on how well their children do on high-stakes standardized tests that are aligned with, and sometimes even surpass, these new standards. Kindergarten children are being given tests where they must fill in the bubbles on a paper to show their answers to questions that are often confusing and unfamiliar. This fallout, resulting from No Child Left Behind and Race to the Top mandates, has put teachers’ jobs at stake. In many cases, the actual continued existence of some schools also hangs of the results of these scores. When I speak with early childhood educators, it’s clear that they understand the importance of play and they bemoan the way that it has been eliminated from their classes. It is the interest and inquiries of teachers that inspired me to write this book about Choice Time. My goal in the book is to help new teachers in integrating centers that support explorative play into their classrooms. I’ll provide suggestions for getting started, describing, in detail and with actual classroom examples, many helpful strategies and routines. For teachers who have included Choice Time in their program for many years, I hope that this book will confirm their good practices and also provide some new possibilities for their classrooms. Loris Malaguzzi, one of the founders and leaders of the world – famous early childhood schools in Reggio Emily, Italy, wrote, “Once children are helped to perceive themselves as authors and inventors, once they are helped to discover the pleasure of inquiry, their motivation and interest explode.” I hope that this book will give ideas and inspirations for creating classrooms that explode with the excitement of inquiry and discovery! This entry was posted in Investigating Choice Time: Inquiry, Exploration, and Play on February 29, 2016 by Renee. I can’t wait to read it all!! You must be so tickled!! Congrats!! So glad to hear that Heinemann is still supporting good practices in education. They were always my favorite when purchasing items for school libraries. Congratulations Renee!! How very exciting! Thank you! I taught PreK thru 3rd grade for 25 years in NYC progressive schools and CHOICE TIME was a staple in our learning community. Thank you Louisa. Let’s hope that there will be a turn back to inquiry-based learning in NYC and around the country! This philosophy is SOOO needed! Play still exists in some kindergarten classrooms but has been virtually eliminated from the vast majority of grades 1 and 2. It’s so sad to see teachers leaving the field in frustration because the values they believe in are not embraced by bureaucratic school systems. I look forward to sharing this book with my early childhood and primary level teachers! Massachusetts recently put standards in place for Social and Emotional Learning and Approaches to Play and Learning for preschool and kindergarten, which we hope will eventually “filter up” through the grades. Children can use PLAY as a vehicle for learning at all levels!! Sandy, Massachusetts seems to be a step before New York. I really hope that the interest that I’m noticing in play and inquiry might be an indication of some changes that might be taking place. Thank you for planning to share the book. I hope that we can keep up a communication on this blog. I cannot wait to read your book! It comes at a very important time in education. Is the release date likely to be on schedule? I’d like to adopt the book this fall as required reading for my college students in an early childhood methods course.